Washburn Center for Children’s vision for the Pathways program is to increase the cultural diversity of mental health therapists. This initiative addresses the striking lack of diversity in the behavioral health workforce. Nationally, only 6% of Psychologists and 12% of Social Workers are people of color. 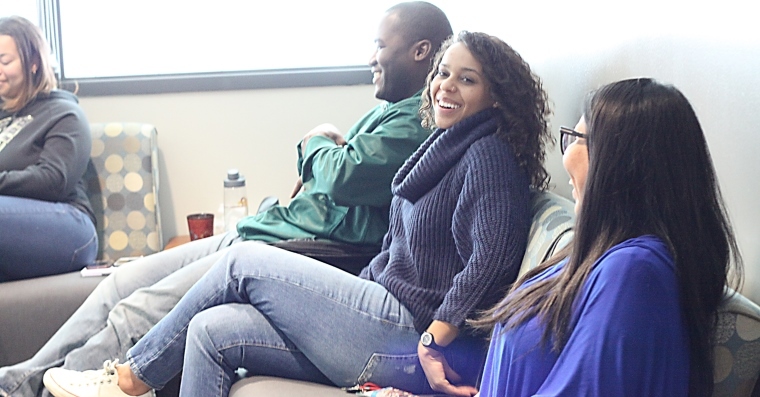 Washburn Center wants to reduce racial, social and economic inequities and ensure that people of color who aspire to be mental health professionals have the opportunity and support to successfully begin their career. In Minnesota, 70% of all jobs require post-secondary education – and the mental health profession is one that requires both formal education and licensure. By providing internships, scholarships, hands-on learning and mentoring, Pathways will address some of the inequities and barriers that have prevented young people of color from entering the mental health field. As one of Minnesota’s largest training grounds for future children’s mental health professionals, Washburn Center recognizes its unique position to change the pathway into the profession. Each year, the agency’s internship program trains 80 – 85 students studying psychology, social work, or marriage and family therapy, from initial undergraduate internships through postdoctoral fellowships. Washburn Center is one of only three American Psychological Association (APA) approved doctoral training sites in Minnesota that are child-focused. If the pipeline into the mental health profession is going to change and become more diverse, Washburn Center for Children must be an active change agent. More than 55% of the clients Washburn Center serves are children of color. The nationwide shortfall of diverse mental health practitioners is troubling because research suggests that health care consumers who share a culture and race with a provider often develop stronger therapeutic alliances and have higher treatment retention rates. With more than half of our nation’s children expected to be part of a minority race or ethnic group by 2020, Washburn Center’s Pathways program will recruit a mental health workforce that reflects the diversity of our young population.